Green Valley Wellness & Chiropractic | What sets Dr. Roles apart from other doctors? Dr. Roles has been in practice at Green Valley Wellness & Chiropractic for over 26 years. 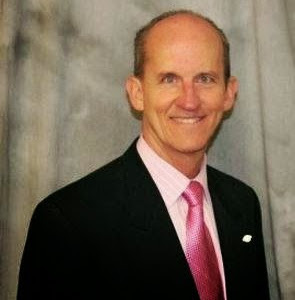 He is board certified in Internal Diagnosis and Clinical Nutrition. He works to balance hormones in a natural way. At our office we have the most state of the art tools. Dr. Roles uses the ProAdjuster to exam and treat the spine and nervous system. The ProAdjuster is Precise, Consistent, Computerized and Comfortable. The spine is able to be treated WITHOUT any TWISTING, POPPING or CRACKING. We know this to be true at Green Valley Wellness & Chiropractic. Tests are performed which include saliva, hair, urine and blood. This helps to test hormone levels, stress response, aging, adrenal and thyroid function. This is how we create custom wellness programs for our patients. When Dr. Roles is not in the office treating his patients, he enjoys staying active. Dr. Roles snowboards, competes in triathlons, runs, swims, and cycles. Dr. Roles is a family man. He has been married to his wife, Susie, for 28 years. He has two children, Crystal, age 25 and Chase, age 23. He is a devout Christian, loves people, and has a passion for healing. The Green Valley Chiropractic & Wellness Center has, for years, worked with Adults, Teens and Children. We accept most plans at our office. Please call us if you have questions at (702) 451-0480. We’d love to see how we can help!